One of the most obvious practical applications of using our SDK is organizing of reception desk at the office, hotel, or any other organization. All these operations can be done simultaneously, so the receptionist will be able to handle all these tasks from the same workplace. All he or she needs is computer with internet and our solution. 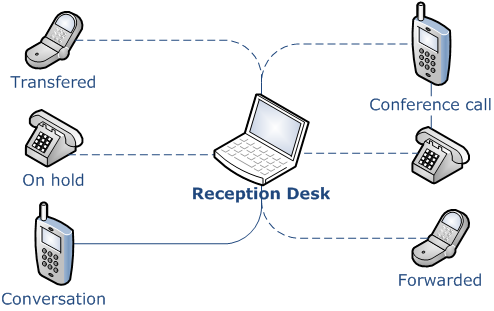 Thus, using of our VoIP SIP SDK increases efficiency of any reception desk.